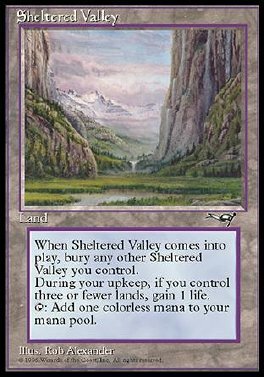 When Sheltered Valley comes into play, sacrifice each other permanent named Sheltered Valley you control. At the beginning of your upkeep, if you control three or fewer lands, you gain 1 life. T Add 1 to your mana pool.